GET out your handbags and gladrags ­— Rod Stewart will be sailing into Bolton next summer. 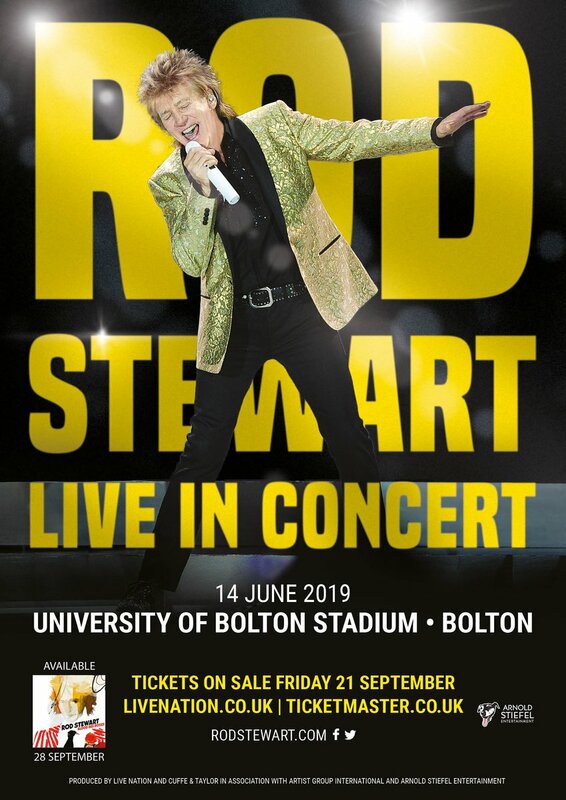 The Scottish rocker will bring his Live in Concert tour to the University of Bolton Stadium on Friday, June 14, the final date in a series of concerts to be held at football stadiums around the UK. It is the latest big-name to come to the stadium after The Killers and Little Mix played to sell-out crowds there in the summer. The tour will be Rod’s first in three years and will feature many classic hits plus songs from his new album, Blood Red Roses. The announcement follows sold-out concerts this summer at the stadium from Little Mix and The Killers.